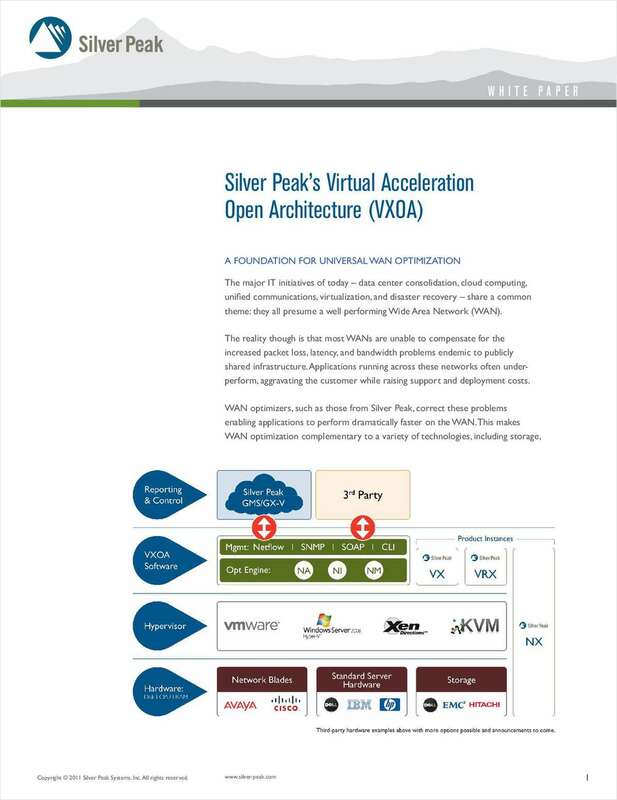 "Silver Peak's VXOA: A Foundation for Universal WAN Optimization"
Free White Paper: "Silver Peak's VXOA: A Foundation for Universal WAN Optimization"
It is a new era - with new leaders - in WAN Optimization. The drivers are many. Cloud architectures. Remote access to big data. Application performance in an increasingly networked world.